At a shopping center in Taipei today I noticed some world globes for sale. A closer looked revealed they didn't include some dashes I used to seeing in mainland China, whether on globes or maps of restaurant locations. These dashes, commonly referred to as the Nine-Dash Line, have been used by both the People's Republic of China (PRC) and the Republic of China (ROC, Taiwan) to indicate their claims in the South China Sea. The exact nature of the claims represented by the dashes hasn't always been clear. The globes inspired me to learn a bit more about the ROC side of things in this complex issue. So below are a links to a few relevant pieces with different perspectives along with excerpts. Of note, after the first two pieces were published the ruling in the South China Sea Arbitration was issued in July 2016. The next two pieces capture some of its ramifications. The ROC seems to have slightly adjusted the gravity of its claim. Recently, the ROC’s claim has focused more on the islands, their surrounding waters and continental shelf, rather than the whole body of water in the U-shaped line. The ROC ‘suspended its claim to the entire waters’ within the line in December 2005, while still advocating its ownership of land features within the line. The illustration of the U-shaped line on an official map, “The First ROC Territorial Baseline and Territorial and Contiguous Zone Lines,” also constrains Taipei’s legal options. There is a brief footnote on the map noting, “All of the islands and rocks of the Spratly Islands within the traditional U-shaped line are ROC territory.” The map therefore suggests Taiwan claims only territorial sovereignty over the islands and rocks within the U-shaped line, not historical rights or sovereignty over the waters within the line. If Taiwan’s government regarded historical rights and waters as an indispensable interest within the U-shaped line, there would be no reason to exclude mention of them from the map. 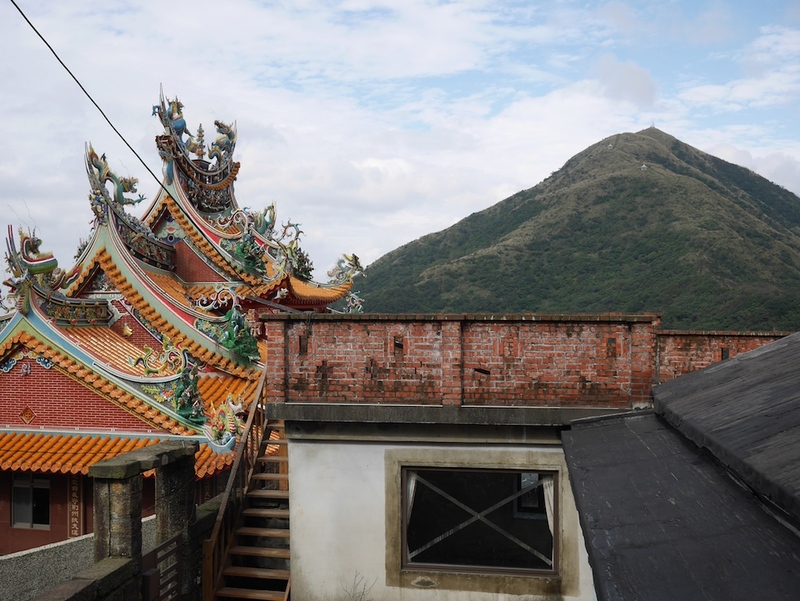 This does not necessarily prevent Taiwan from taking action to claim historical rights and waters in the future, but it does provide ammunition against Taipei were it to do so. Taiwan lost a chance to make a global impression by stepping away from its nine-dash line claim, said Euan Graham, international security director with the Lowy Institute for International Policy in Sydney. 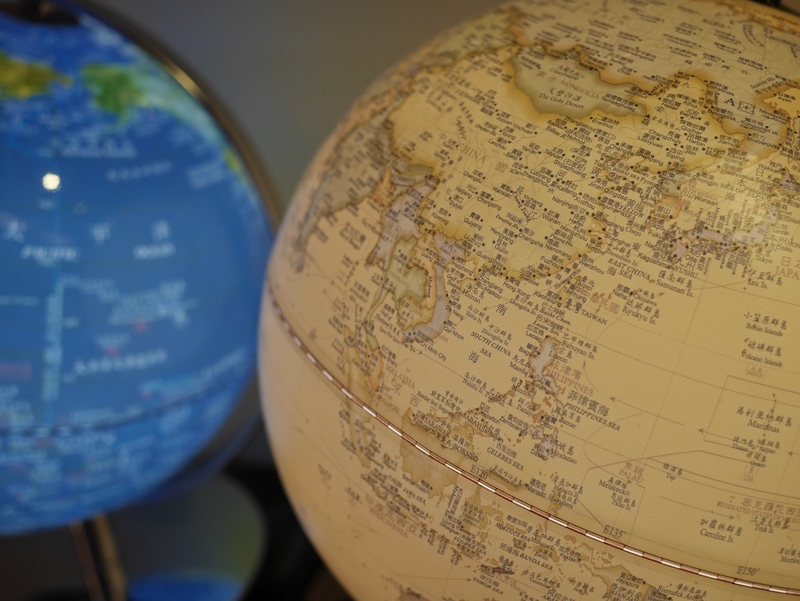 Two of the larger remaining grand strategic options appear to be quite risky. A threat to renounce Taiwan’s traditional claim based on historic rights would plunge Taiwan into a deep and sustained row with Beijing. If the purpose of the renunciation is to create greater negotiating leverage with the PRC, then the risk might be worth taking. 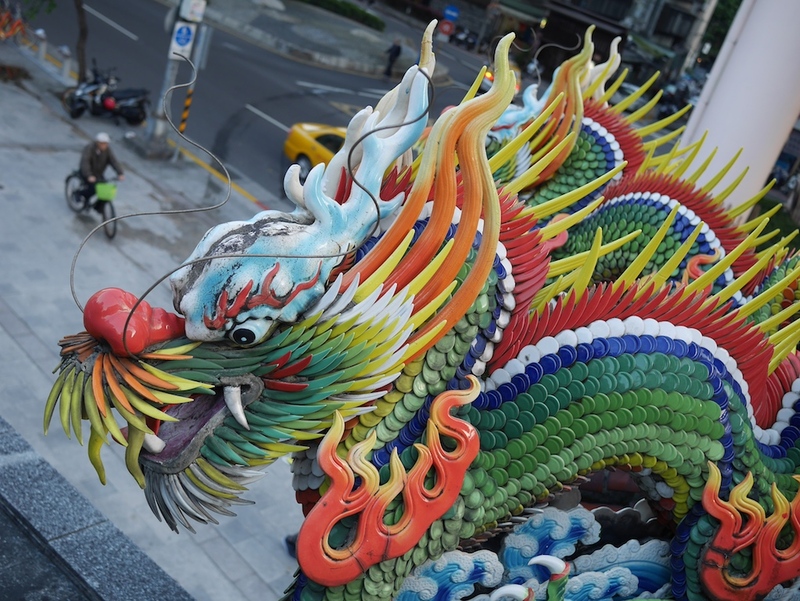 A move toward greater cooperation with Beijing on issues related to the South China Sea poses the risk that Taiwan is snared by Beijing’s “United Front” tactics, but if the result is a PRC promise to agree to a Taiwan proposal to convene an international conference to help bridge the Chinese position with that of international law, thereby elevating Taipei’s international status, then this too might be worth the risk. During my travels the past couple of years I have seen images of Donald Trump in a variety of settings, such as at a newsstand in Taiyuan, on the wall of a noodle restaurant in Hong Kong, and at a stall selling paper cut portraits in Shanghai. The past few weeks it was an advertisement on a building in Taipei that most caught my attention. 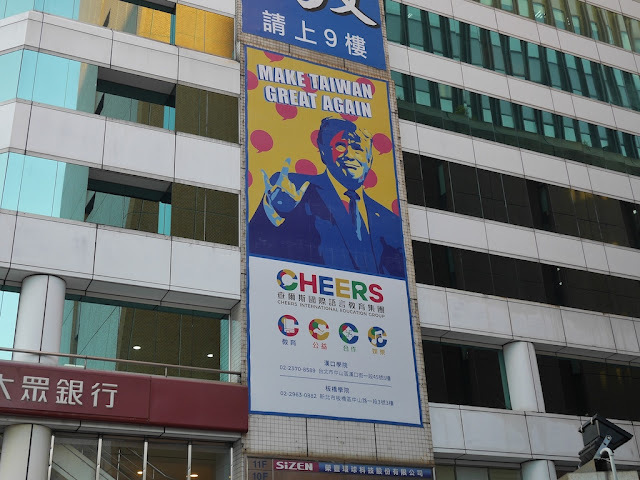 The "Make Taiwan Great Again" slogan which accompanies the image of Trump on the advertisement for Cheers International Education Group is a clear play on Trump's "Make America Great Again" slogan. While the use of English in advertisements isn't uncommon in Taipei, it is especially fitting given the focus of Cheers: foreign language training. Trump is depicted making a sign with his right hand, as best as I can tell not one which has been captured in an unaltered photo of him. Since the thumb is extended it isn't a standard horns sign, though perhaps a horns sign was intended. The hand sign does match the American Sign Language sign for the acronym "ILY" — standing for "I love you". But there's a twist here. The palm should face towards the object of the love. So the hand sign in this case could be interpreted as "I love myself". Whatever the advertisement's designer had in mind, that a language school in Taipei would use Trump's message and image in this way raises questions about how he is perceived here. 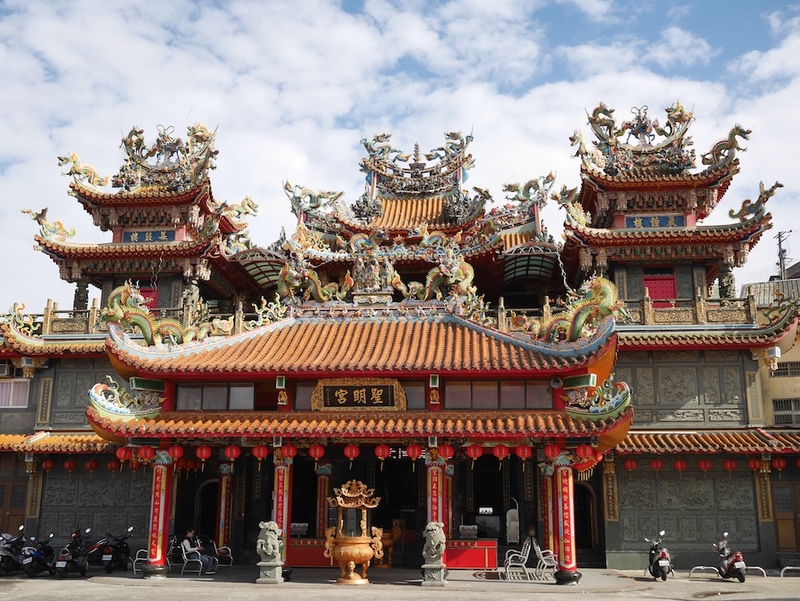 I am not aware of any scientific polling results on the matter, but both positive and negative opinions about Trump could be found in Taiwan when he was elected. Anecdotally and more recently, I have come across a mix of opinions as well. For example, when Trump came up in a conversation with a Taiwanese friend who strongly dislikes him, she commented that a surprising-to-her number of people in Taiwan view him positively as President of the U.S. due to his business background. And a local political activist I met mentioned that some Taiwanese hope Taiwan's next president will be like Trump for the same reason. 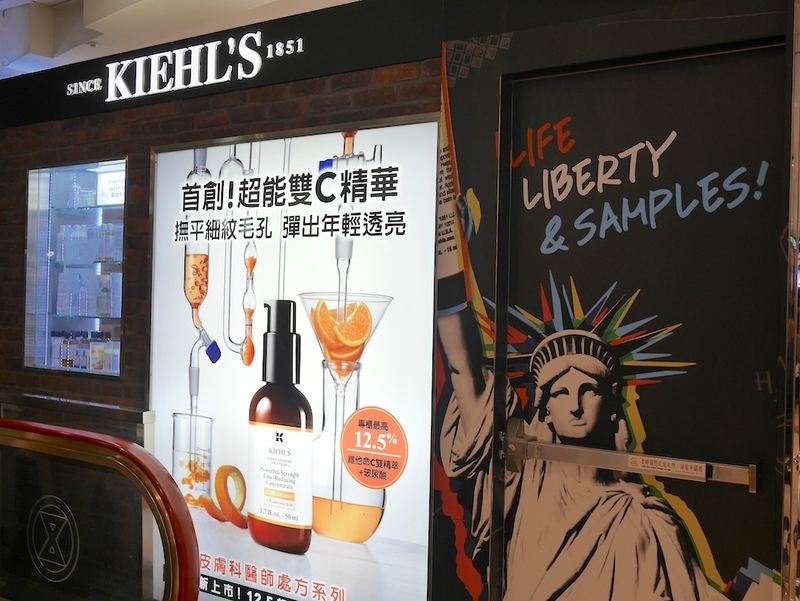 So while The Trump Organization could see the advertisement as impinging on their brand, Donald Trump may first see it as indicating some of his appeal abroad. 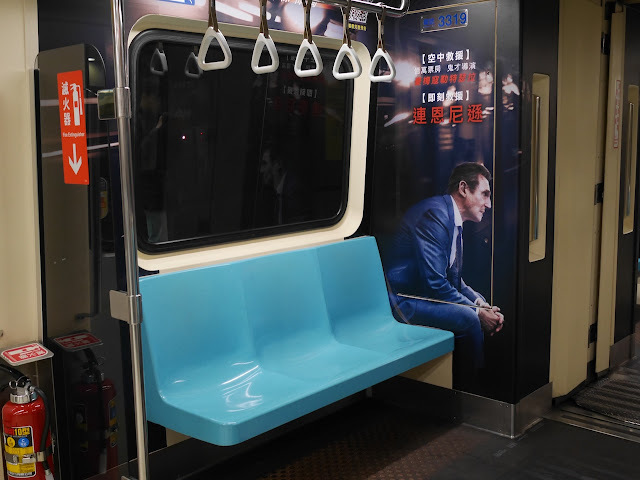 A bigger test, however, may be whether a Taiwanese politician ever prominently features Trump in a positive fashion as part of a political advertising campaign. Barack Obama can already claim that achievement. Liam Neeson on a Taipei Metro train. Always has a seat. Never manspreads. Last night in Taipei I had local food on my mind and had no plans to eat at a McDonald's. But as I passed by one of their restaurants something caught my eye. It couldn't be. The glorious Prosperity Burger, a special offering from McDonald's for the Lunar New Year holiday, was beckoning. 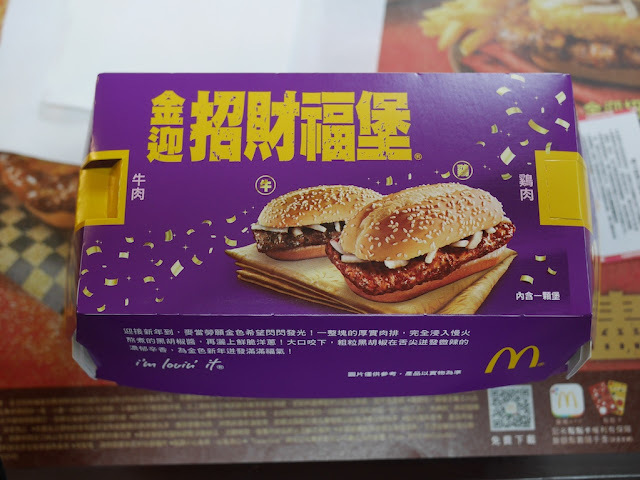 Curiously, the burger is unavailable in mainland China, where McDonald's typically offers other holiday food items that change from year to year, such as the Year of Luck Burger (not at all my thing) or shrimp burgers (meh). 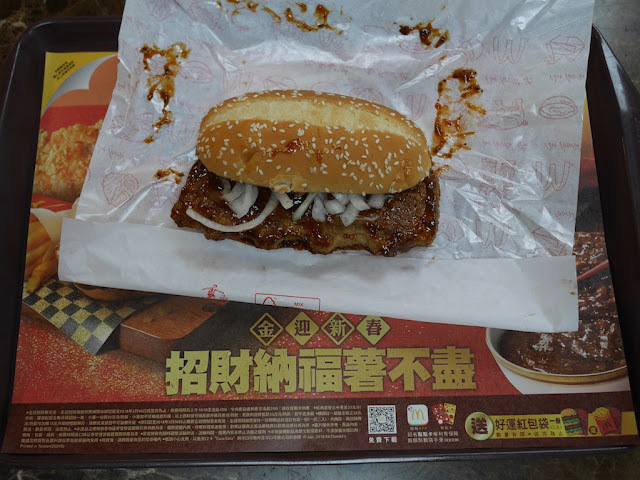 I knew I'd be soon departing Taiwan in the near future and wasn't sure I'd be in any of the other areas that typically offers the Prosperity Burger, such as Hong Kong, Macau, Malaysia, or Indonesia, before the holiday ends. So I changed plans and went inside the McDonald's to examine the options. Last year in Macau I personally found that adding a hash brown "didn't do much for the burger except add intense caloric mass while diluting the taste of the Prosperity Sauce", so I avoided those options this time. That left a choice of either beef or chicken. I ordered the beef version, and very quickly I had a Prosperity Burger box in front of me. Even better, as promised there was a Prosperity Burger inside. If you've never had one, you're not just missing out on a delightful fast food holiday treat, you're also missing out on ensuring you aren't salt-deprived for the day. 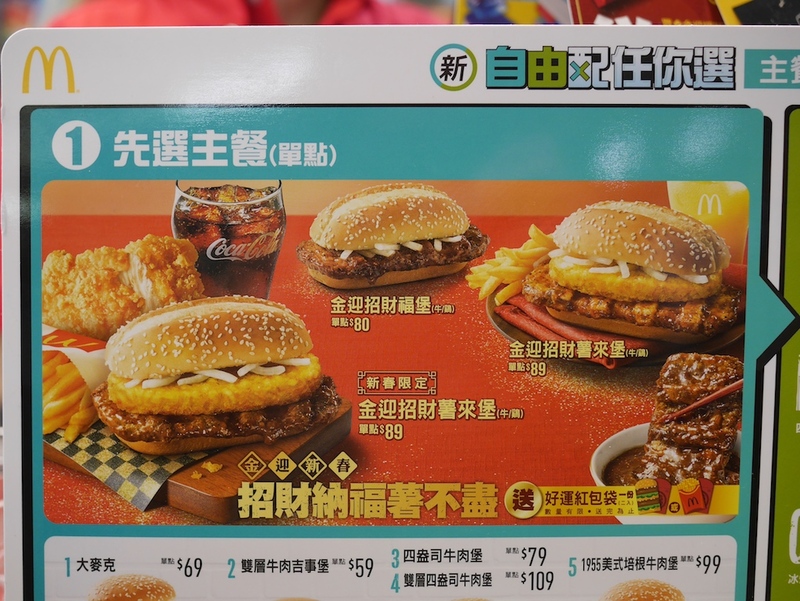 According to the McDonald's Taiwan website, the beef Prosperity Burger has 1320 mg of sodium. In comparison, the website indicates a Big Mac has 880 mg of sodium. Notably, the McDonald's U.S. website indicates a Big Mac has 950 mg. Perhaps this difference is due to Americans preferring more salt. Or perhaps this is due to Taiwan having a lower daily value for sodium (less than 2000 mg) than the US (less than 2400 mg). Whatever the case, the Prosperity Burger will have you well on your way to blasting through your sodium ceiling. You're really set if you layer on a hash brown or add a side of fries. Regarding fries, I didn't bother getting any since curly fries, which have been part of the McDonald's Lunar New Year menu in other areas, weren't available. I suppose there is both good and bad in that. Anyway, I'm glad I was lucky enough to enjoy a Prosperity Burger this year. And I managed to still include a Taiwanese treat last night, though I had to head down a nearby alley. The small bowl of noodles with large intestines, not available at McDonald's even during holidays, was great as well. I don't want to know how much sodium they included though. Today after crossing a bridge connecting Taipei City and New Taipei City, a black cat caused me to pause before I went down a stairway — the only way to reach ground level from this section of the bridge. Needless to say, the cat also saw me. After a couple of photos, I began to slowly descend the stairs. I figured either the cat would allow me to greet it / pass by or it would head down the stairs in front of me. Of course, the cat did something else. It jumped onto the concrete wall bordering the stair landing. 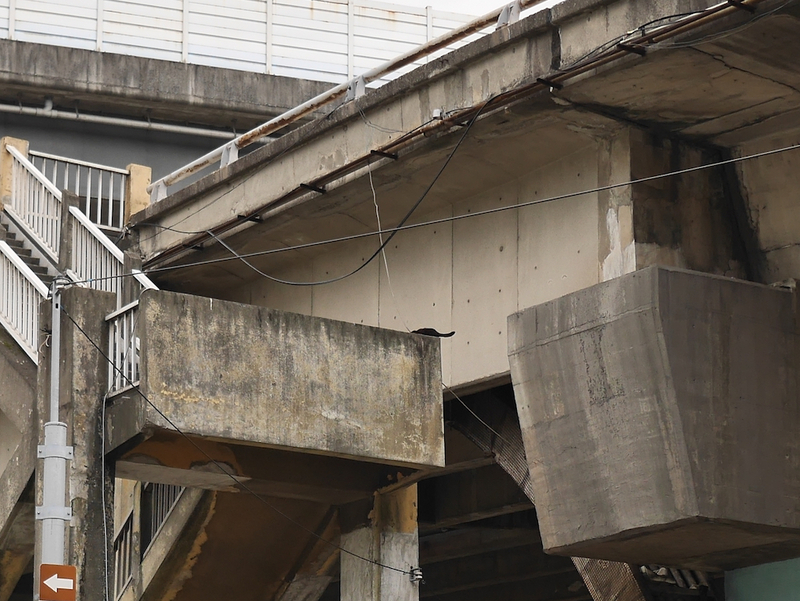 I froze, fearing the cat would try to reach a supporting structure of the bridge requiring a leap at a perilous height. Of course, the cat leaped nonetheless. It didn't give itself much of a margin but still landed safely on the other side and settled down. Quite relieved not to have witnessed a catastrophe (pun not intended), wanting to keep things that way, and not seeing anything I could do to help at the moment, I made my way down the rest of the stairs. Later as I stood across the street from the stairs, I heard a young voice from above exclaim "Māomī!" — "Kitty!" in Mandarin Chinese. When I looked up I saw a boy standing at the top of the stairs who was soon joined by numerous other school children. It wasn't clear what the children would do, but at least the cat was in a safe location, relatively speaking. In fact, the cat had already returned to the stairway. And before any of the children went down the stairs, it made the same leap to the bridge again. Expecting another return to the stairway, I waited as the cat remained out of view. 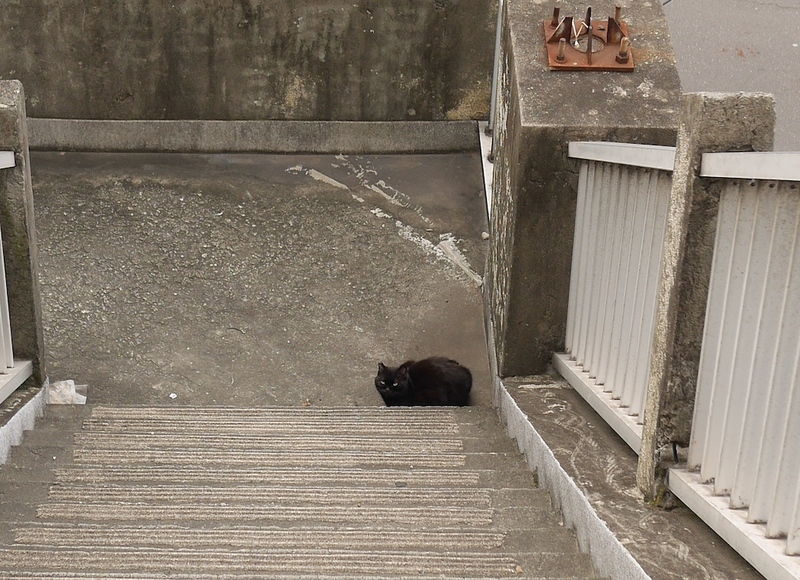 After about seven minutes of nobody using the stairs, the cat came into view and prepared itself. That's a photo worth cropping. And now some speculation . . . The cat appeared to been have been ear tipped, suggesting it is a stray. 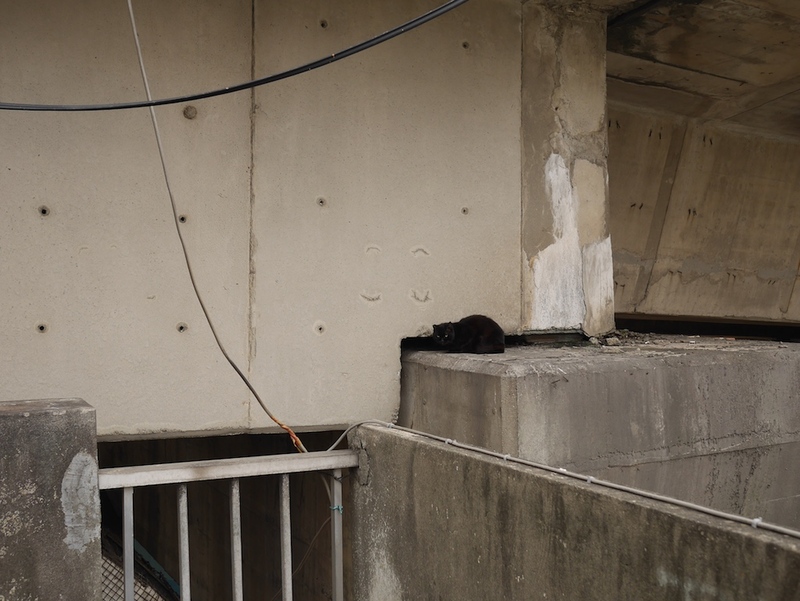 Given what I have seen elsewhere in Taipei, where stray cats aren't uncommon, I wouldn't be surprised if somebody is feeding the cat regularly at the stairway landing around the time of day I arrived. Perhaps they first encountered the cat there and a ritual began. If so, the downside to this act of kindness is that as the cat waits for the person (food) to arrive it avoids other people by repeatedly making a dangerous leap. The cat apparently feels confident enough in its abilities. But as an online video search easily indicates, cats aren't perfect. And at some point as the cat ages, it won't be able to leap as well. Will the cat know to retire from its bridge adventures before then? 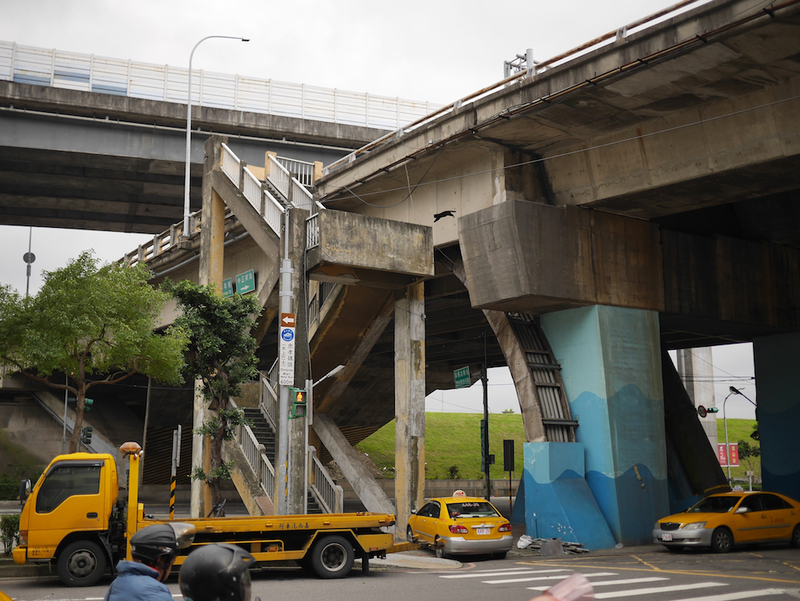 That would be quite a height for a cat, no matter how many lives it has, to fall, and the ground far below is unforgiving concrete. One potential downside to sharing this story is that people who can figure out the exact location may be inspired to engage in some leaping-kitty tourism and approach the cat on the stair landing hoping to see a jump up close. So please, refrain. This will only add to the number of times the cat is tempted to take a substantial risk. 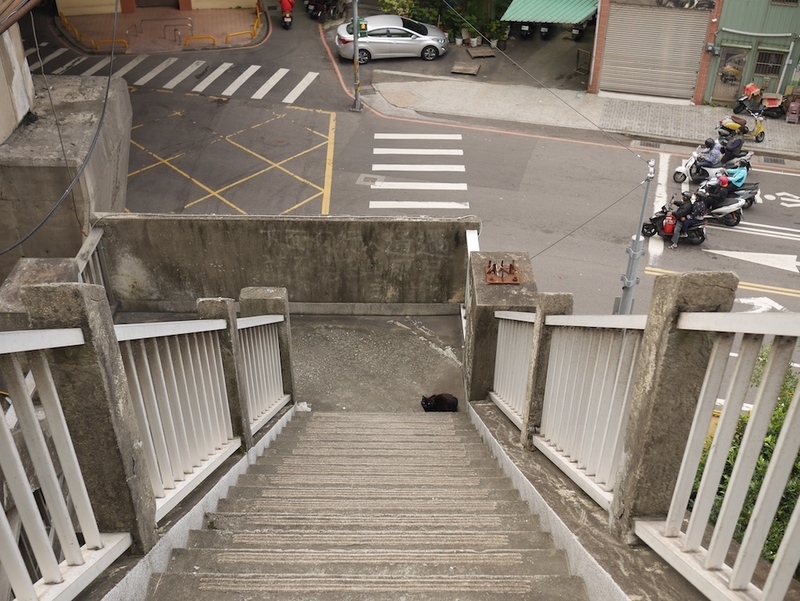 To be clear, I don't know whether or not the cat is a regular on these stairs — hopefully not. But if you or somebody you know are cat-experienced and interested in further exploring the situation with the aim to help if need be, feel free to contact me (see the sidebar of the website; go here if currently viewing the mobile version). I can help you pin down the exact location and also share the time of day when I saw the cat. Assuming it could require multiple regular visits, I'm not able to undertake the deed, especially since I expect to be departing Taipei soon. If more high leaps are in store, though, may they all be good ones. Whatever the future holds for the cat, I might feel more confident in the answer if I later see another cat at such heights and think to myself "You're not really going to jump there, are you?" A Valentine's Day promotion at the Qsquare shopping mall in Taipei left me wondering if the Lunar New Year, another potential holiday for a promotion, falling close to Valentine's Day this year influenced the decision to start the promotion nearly a month before February 14. 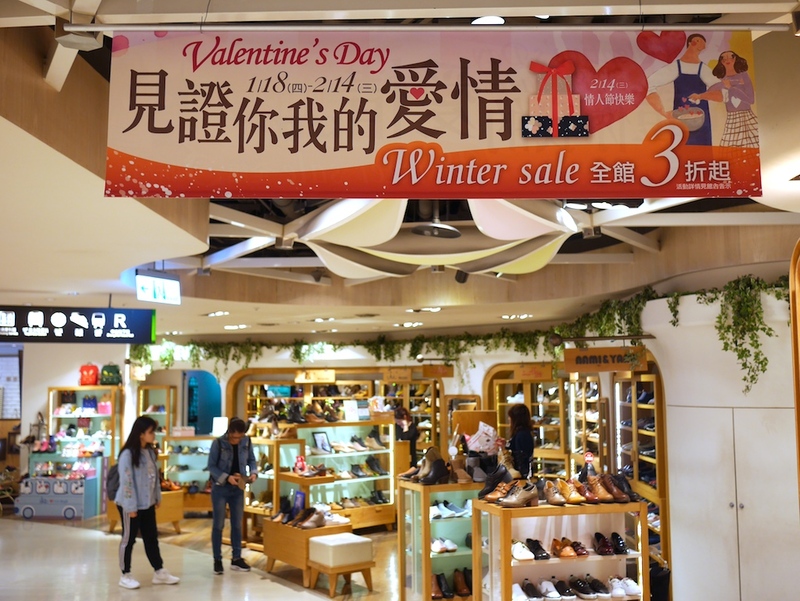 Yesterday I saw that the Breeze Center, a luxury shopping mall in Taipei, had also began a Valentine's Day promotion on January 18. But it marked the start of their Lunar New Year promotions as well. 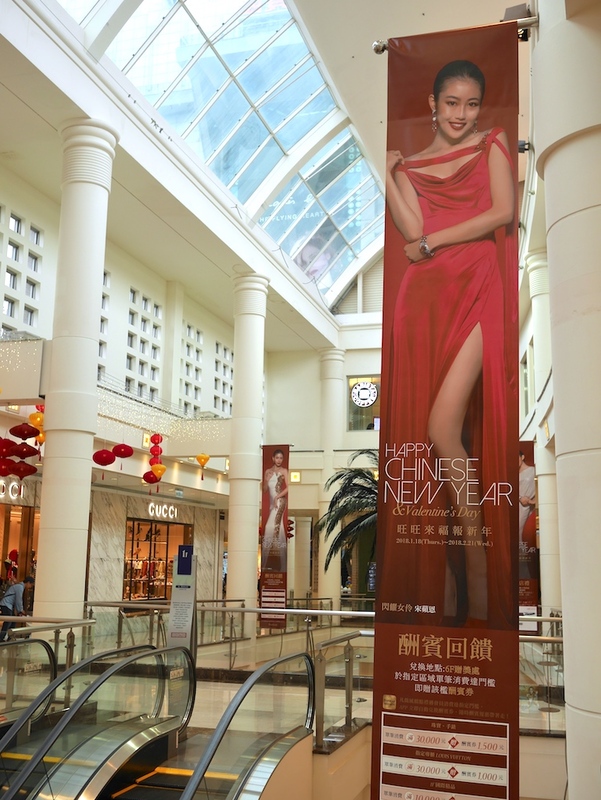 Although the holidays are mentioned together, the text size on the banners highlights the Lunar New Year holiday more. 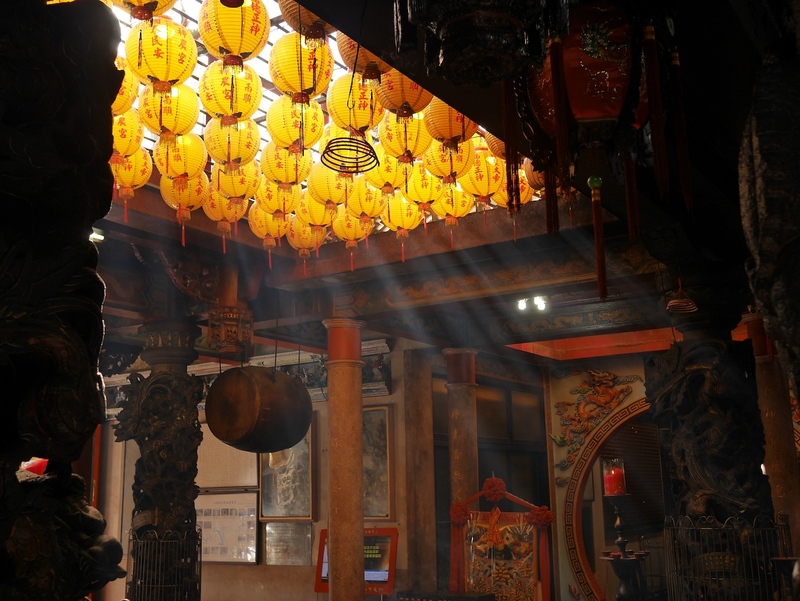 And at one entrance, while the Lunar New Year theme was clear, including that it will be Year of the Dog, there was nothing specifically indicating Valentine's Day. 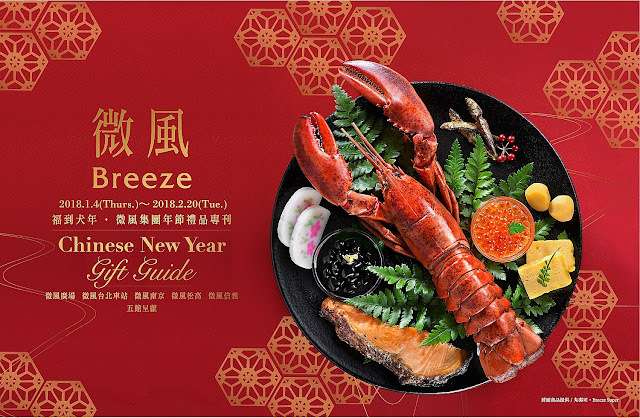 On Breeze's website for all of its shopping centers in Taipei portions of four images are currently featured, one appearing at a time and all with holiday promotions. One, like the banners at the mall, mentions both holidays. Another only mentions Valentine's Day. 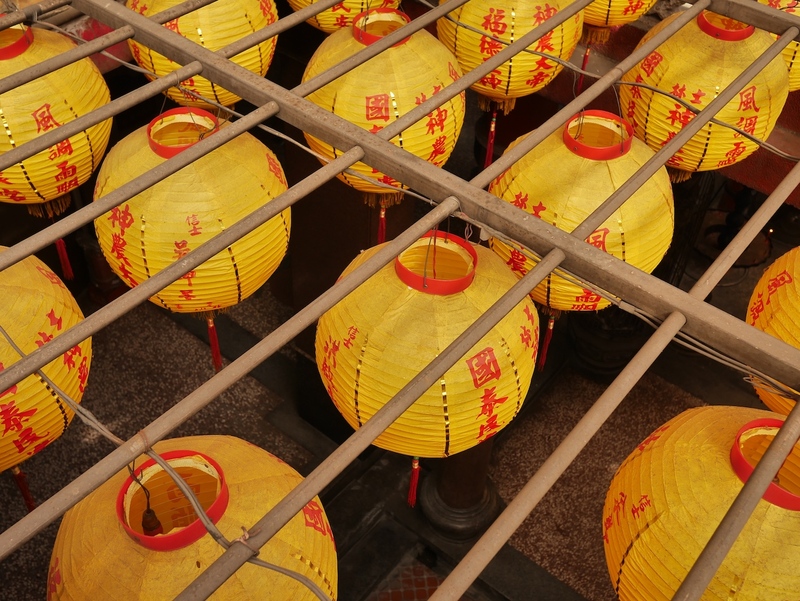 And another only mentions the Lunar New Year. 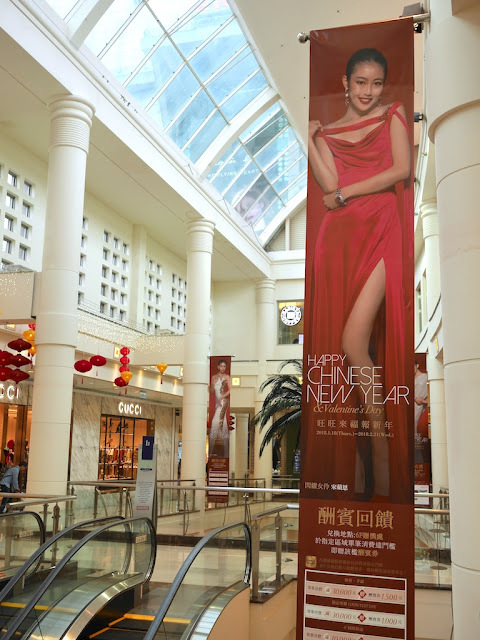 All of the previous banners include female models. One other, which only mentions the Lunar New Year, does not. It has a cooked lobster instead. 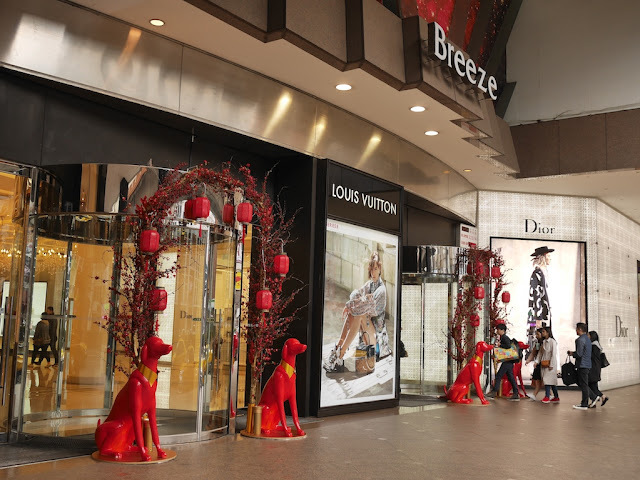 The promotions are a sign of how Breeze is handling the proximity of the holidays. Perhaps they will convince some people there is nothing like new shoes for celebrating Valentine's Day and lobster for the starting of the Year of the Dog — all purchased at Breeze, of course. Yesterday, January 18, I didn't expect to be thinking about Valentine's Day, which isn't until February 14. 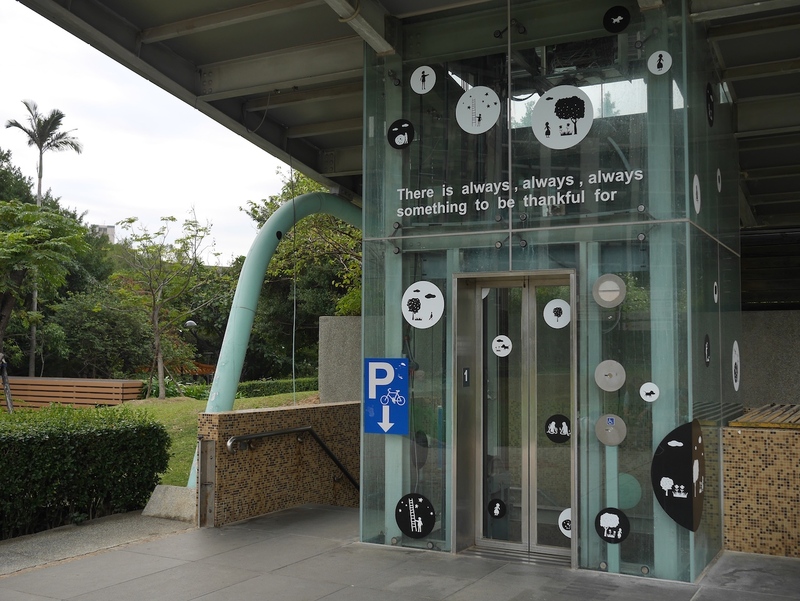 However, sale signs at the Qsquare shopping mall in Taipei changed that. 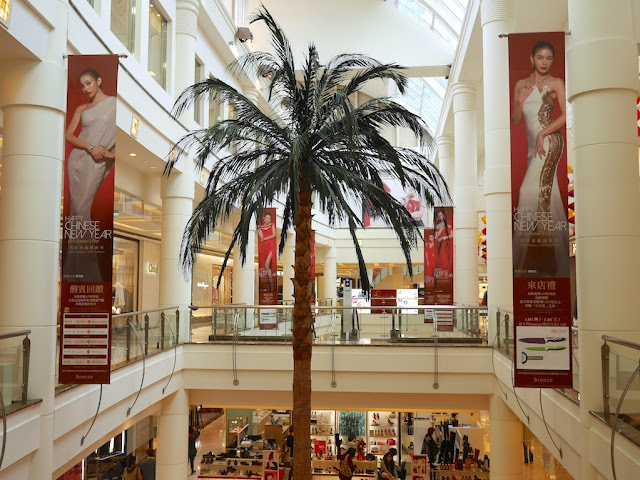 The mall's website now prominently features its Valentine's Day themed winter sale as well. I don't know whether it is typical for Qsquare to start a Valentine's Day promotion nearly four weeks before the holiday. Qsquare may have chosen the timing because another holiday with sales potential — the Lunar New Year — falls on February 16 this year. However, I have seen similarly early starts to holiday sales elsewhere. So I wouldn't be shocked if Valentine's Day signs would now be up even if the Lunar New Year fell on a later date. In any case, the Chinese message on the banner indicates the sale will be an opportunity for couples to show evidence of their love. It doesn't mention that depending on your significant other it may or may not be beneficial to mention you bought their gift on sale. and directions . 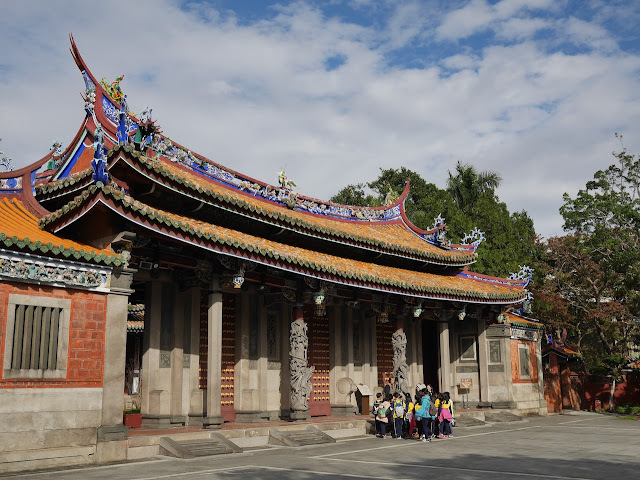 . .
weren't in short supply today at two nearby historic temples in Taipei. 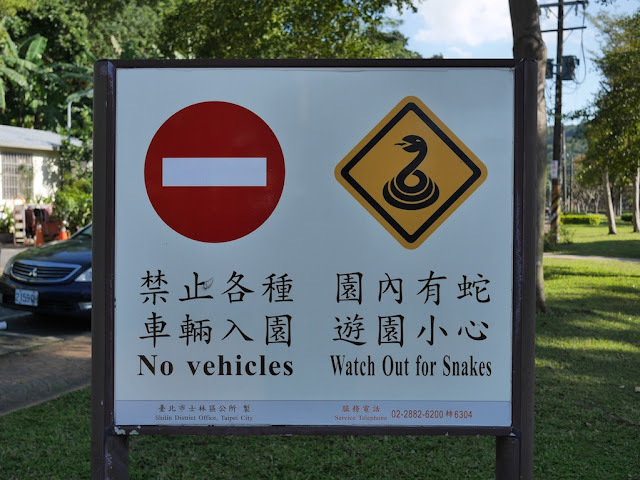 When today at the edge of the Shuangxi Riverside Park in Taipei I saw a sign warning of snakes, admittedly I doubted any would cause me a problem. But later at the nearby Huiji Temple (惠濟宮) I realized perhaps I got lucky. 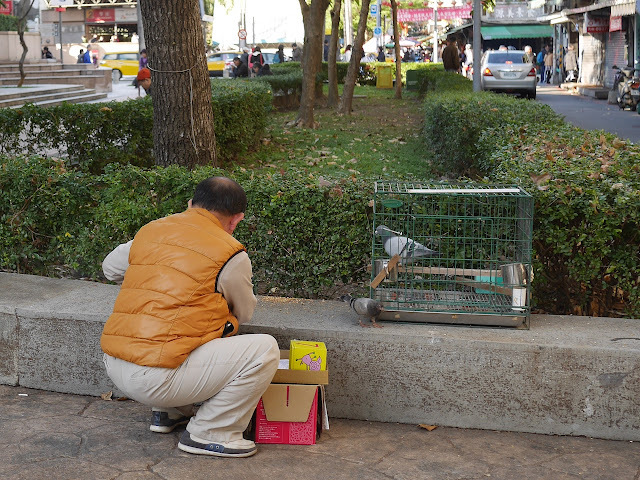 Today near the Taipei Metro Shuanglian Station, I saw a man with two pigeons in rather different states of confinement. One pigeon was in a cage while the other walked around next to the cage. Soon the man became aware of my interest, and I asked about the pigeons. He explained that the smaller pigeon outside of the cage has a home at the top of a building just across the road. The larger pigeon in the cage was his. He said the pigeons were friends and this was not their first meeting. Even when I approached very near, the freely roaming pigeon didn't leave. However, I worried my presence might be making it nervous, which would be a shame since the man was setting out food. So I refrained from asking more questions and left the pigeon friends alone to do whatever it is pigeons do under such conditions. "Lively" may not be the best choice for describing "Organ Harvesting" demonstrations by Falun Gong, also known as Falun Dafa, at the Ximending shopping district in Taipei. But I would feel much safer using the word to describe something else Falun Gong does at Ximending. 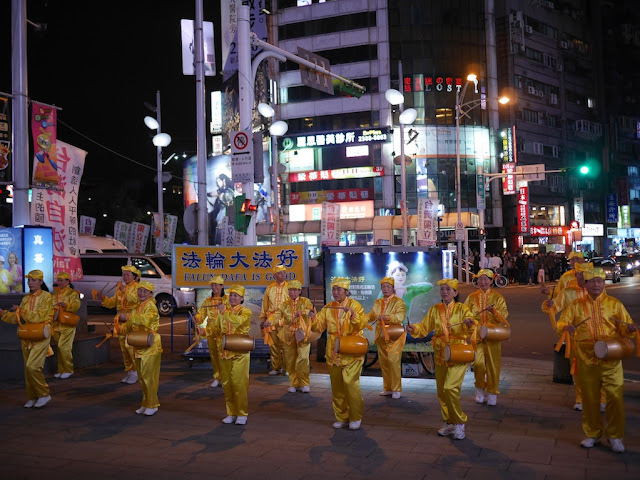 One intended message of the drum performance appeared to be expressed on a sign behind them with the familiar message "Falun Dafa Is Good". This is partly to respond to accusations from China that Falun Gong is evil. Like the claims of organ harvesting, drum performances by Falun Gong adherents are nothing new. 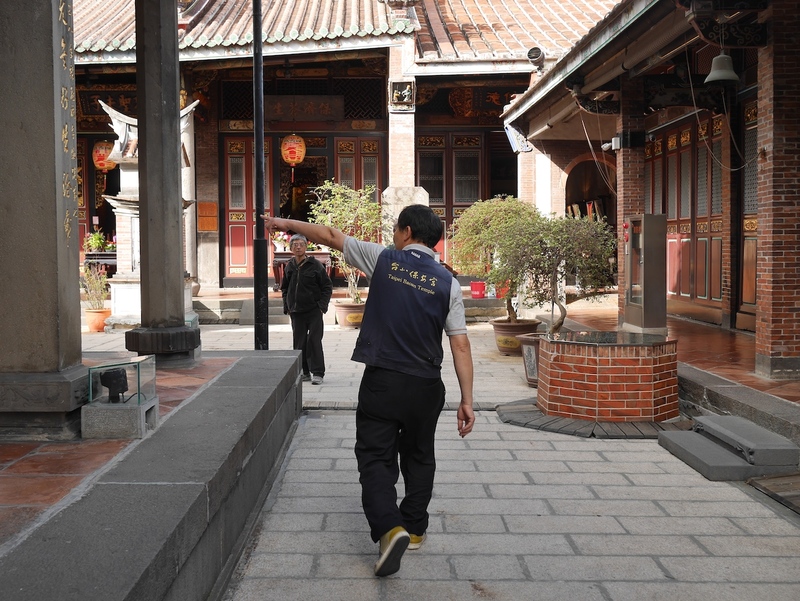 One website "dedicated to reporting on the Falun Gong community worldwide" shares examples from places as far away as Philadelphia and Melbourne. But you won't find them drumming in mainland China. I posted about Falun Gong, also known as Falun Dafa, when I was in Taiwan over six years ago. 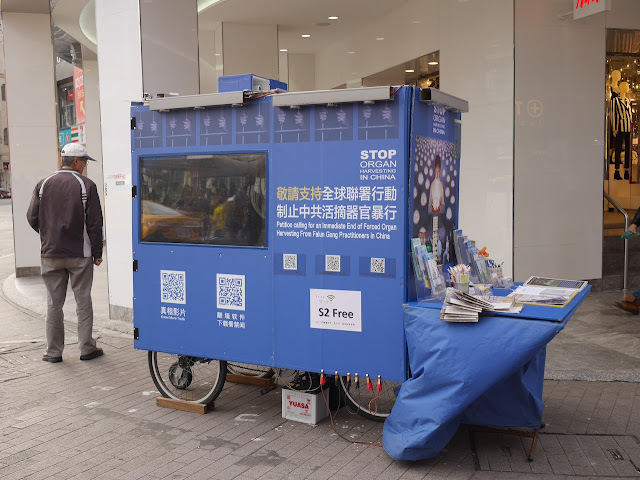 I was about to start this post with "Falun Gong was helping to keep things lively today at the trendy Ximending shopping district in Taipei". But then I noticed it included a rather unintended bad pun. 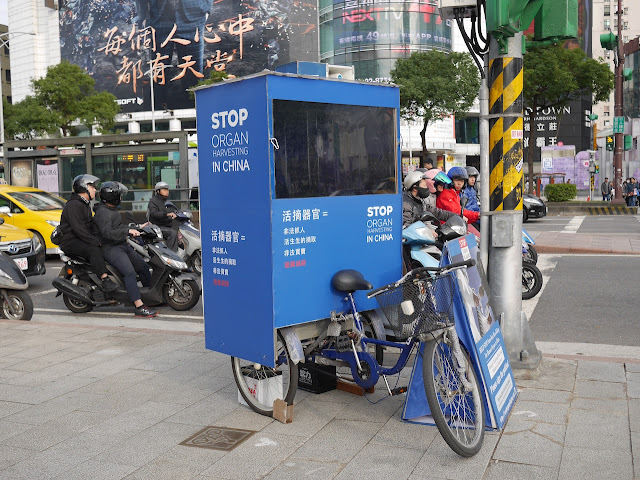 Eyes flashing, lips curled in operatic scorn, a middle-aged woman holding a placard reading “Evil Cult Falun Gong!” ordered me off the sidewalk outside Hong Kong’s convention center, where organ transplant specialists from around the world were gathered. My crime? After interviewing her as she stood with a group called the Anti-Cult Association, she had spotted me interviewing a woman at a competing demonstration of practitioners of Falun Gong, a meditation and exercise-based spiritual practice that the Chinese government outlawed as a cult in 1999, jailing many practitioners. 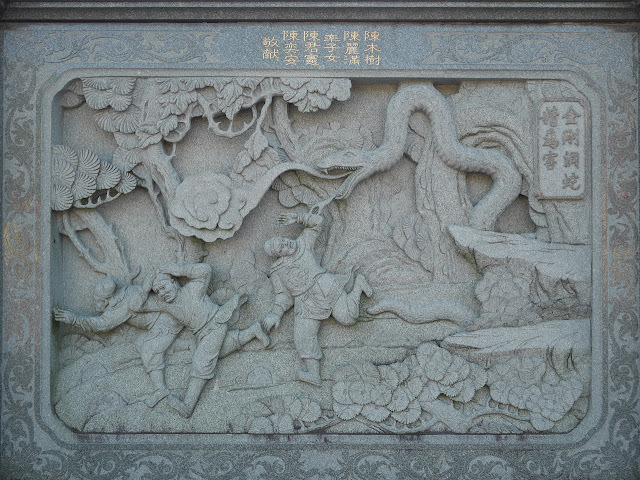 The Anti-Cult Association says it is a civil society organization, but its aims closely reflect the Chinese government’s. I didn't see any competing demonstration today, though I have seen them on other occasions in Taiwan and Hong Kong. And while two people were quick to approach me offering pamphlets, informational cards, and a petition regarding the demonstration, the term "lively" would better apply to many other aspects of Ximending. 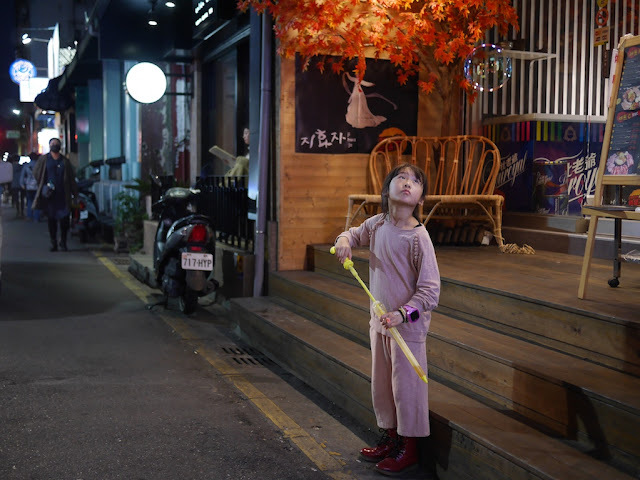 Still, Falun Gong added a type of life which I don't see, and can't see, at shopping districts in mainland China. Although I am belated in posting for the first time since 2018 began, I wasn't belated in celebrating it. 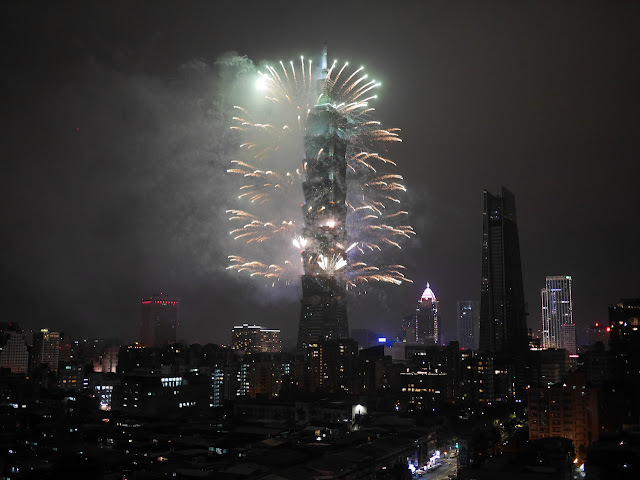 Thanks to some matters not deserving much mention here I spent the holiday in Taipei for the first time. Thanks to good friends who have access to the top of a well-located building, I had a splendid view when midnight arrived. I don't have a long story to share about the night like I did for my very different New Year's experience last year in Xiapu, a county with numerous fishing villages in Fujian province. The most remarkable thing this year other than the fireworks was later stumbling upon a large gathering of young people from a variety of places in Latin America who were celebrating in Da'an Forest Park. So . . . ¡Feliz año nuevo!